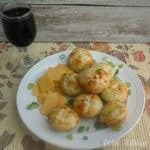 Easiest Cheese Puffs Ever – Blitz – bake and serve ! 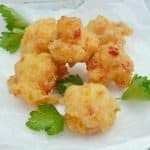 Delicious snack served warm (or cold) with butter and if you prefer a small slice of cheese These mini cheese puffs are really the Easiest Cheese Puffs Ever ! Blitz all the ingredients in the blender until mixed and bake – that’s it !